Windows - Computers, Laptops, Notebooks, Netbooks. Windows 10 Pro, Windows 8.1 Pro, Windows 7 Pro - For Local Installations - 1.5GHz dual core processor or faster - 3GB RAM or more. Network Requirements - For network installations, you will need a Local Area Network (LAN) connection in place with a network speed of 1Gbps minimum. We do not support wireless networks due to the inherent issues of wireless data packet loss. iOS (iPhone, iPad and iPod Touch) on iOS 5 and higher is compatible with PPS Hosted and PPS Express through both free and paid for RDP apps available from the App Store. Examples of software to use include Microsoft Remote Desktop, Jump Desktop, WYSE Pocket Cloud, 2X Client RDP and iRDP. We strongly recommend that you try out the free Microsoft Remote Desktop application as this will provide you with the best user experience. Android Phones and Tablets on 5.0 (Lollipop) and higher are also compatible with PPS Hosted and PPS Express via free and paid for RDP apps via the Google Play store. Windows Phone 8.1 / Surface Pro is compatible with PPS Hosted and PPS Express. PPS Hosted Requirements - To check if your computer meets the requirements to run PPS Hosted, install this Application. If you cannot install this application, you will need to update your current version of OS X.
Emulation for Mac Users - PPS will run locally on any Mac provided that it can already run and meet the hardware requirements for Windows emulation software such as Parallels and Fusion, or can dual boot with a Windows operating system. Alternatively, PPS Hosted works directly from a Mac with no emulation software required and instead uses free Microsoft RDP software. PPS Express works with any Mac on OS X 10.9 or higher. 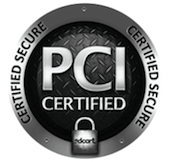 PPS Hosted uses the standard Microsoft RDP application over SSL Using Port 443. Please consult your IT dept if you think your company network may be blocking the connection a default security setting. PPS Hosted may work with any other devices that can utilise a Microsoft RDP connection either a built in or 3rd party application. PPS Express is browser-based software and as such should work on any up to date device that utilises a web browser such as Google's Chromebooks.